Two teenagers have been arrested and charged in connection with the offences. TWO teenagers have been arrested and charged in connection with a series of crimes across the north of the city. Offences took place in the West Pilton, Muirhouse, Cramond and Craigleith areas of the city. Incidents include the theft of a moped along with an attempted robbery, a theft and an attempted break-in to a business. 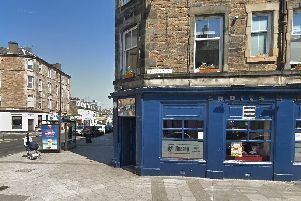 Two 16-year-old males were arrested on Monday, March 25, and will appear at Edinburgh Sheriff Court on Tuesday, March 26. A report will also be submitted to the Children’s Reporter.